Critics of the Church of Scientology picketed the organisation’s Dublin headquarters yesterday, as part of a worldwide campaign by opponents of the religion. 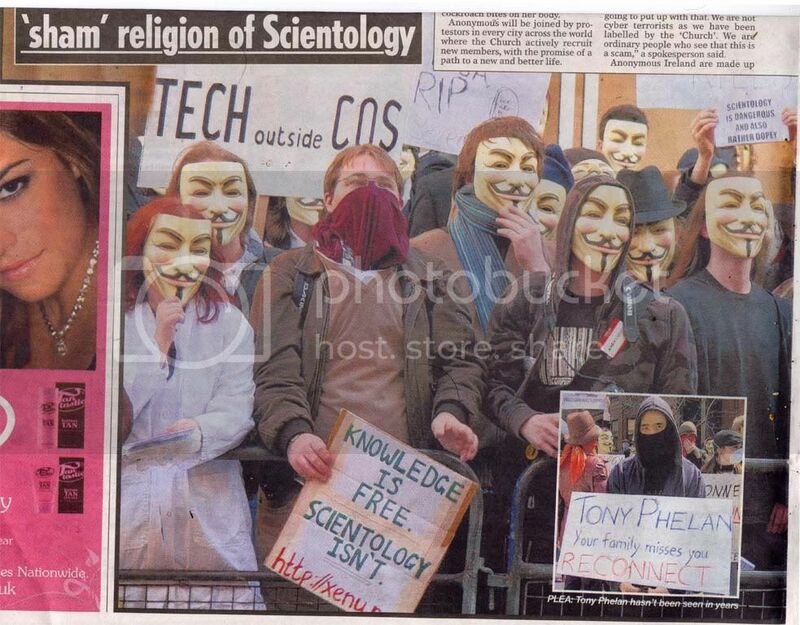 The protest on Middle Abbey Street was the latest in a series of protests by Anonymous Ireland, which describes itself as a ‘‘grassroots collective’’ of people who oppose Scientology. 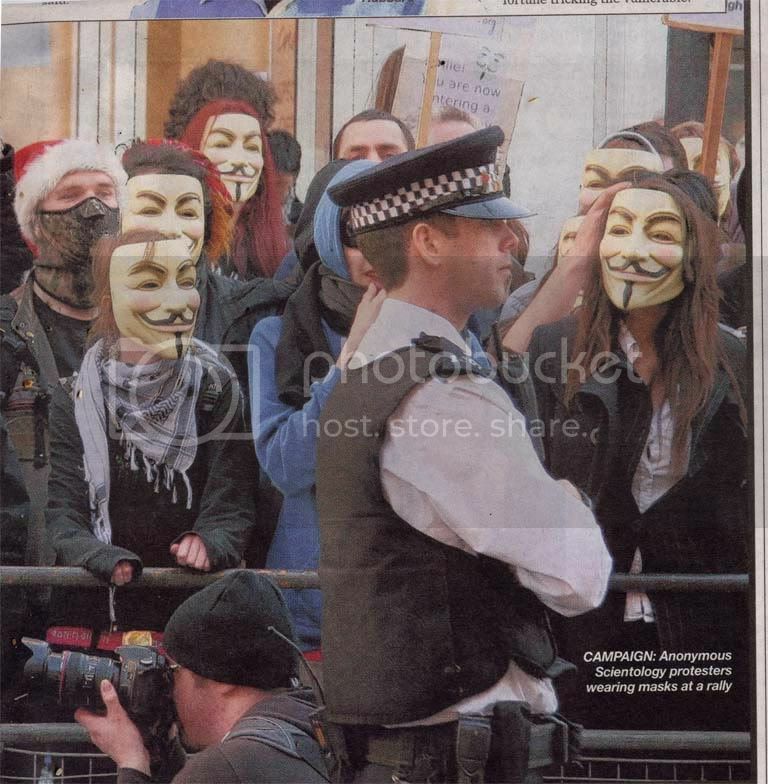 More than 100 masked protesters attended the first Dublin protest in February. 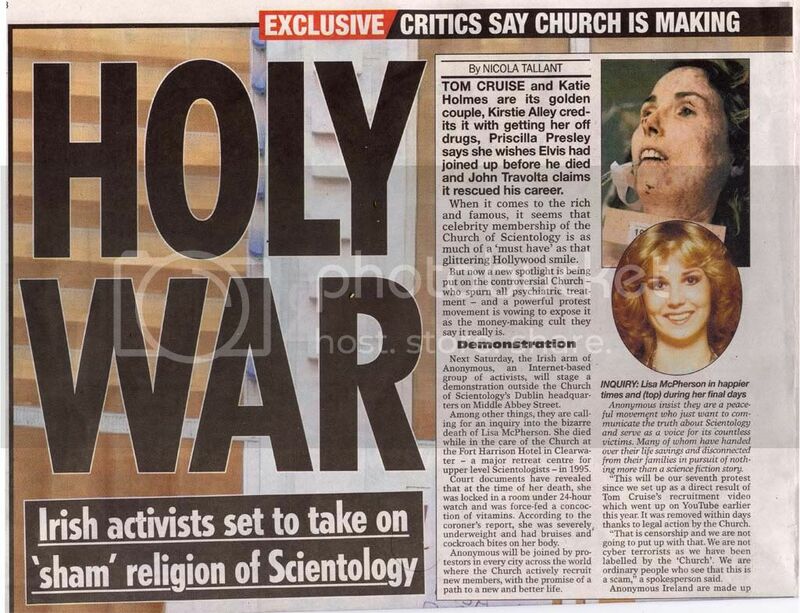 It has been discovered by Anonymous that several high level managers within the Church of Scientology are currently working in the United Kingdom without the appropriate work permits. They are effectively working and living in the country as illegal immigrants. This information has been passed to the UK Border Agency, who are now mounting an investigation.